Ready to Sign on the Dotted Line for Your Log Home in Knoxville, TN? Log homes are beautiful, unique and stand out on any street. Before you purchase your new log home, make sure you set up a log home inspection. Home Town Inspections LLC provides log home inspection services in Knoxville, Tennessee so you can have peace of mind about the house you're moving into. 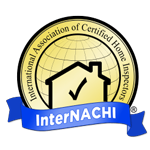 Speak to a home inspector at Home Town Inspections today. What makes a log home different? Home Town Inspections offers specific log home inspection services to give you individualized service for your new home. Schedule your log home inspection in Knoxville, Tennessee today by calling 865-323-7050. Copyright © 2019 Home Town Inspections LLC, all rights reserved.